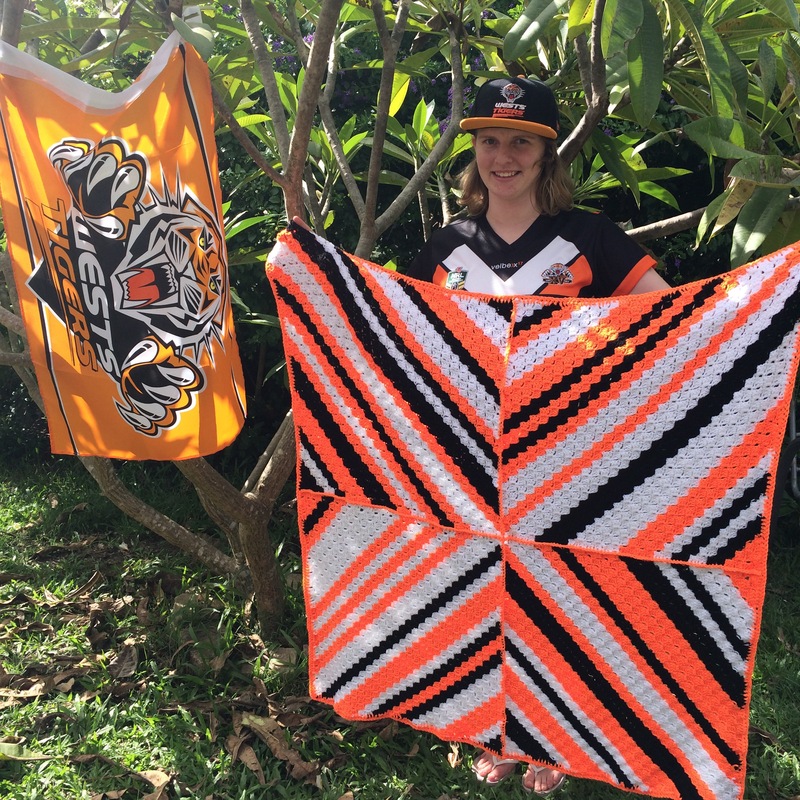 My sister is a fan of the West Tigers NRL football team. Let me clarify that, she’s a mega fan. For her Birthday I decided to make her a tiger blanket that she could use when she watches the games. Naturally the colours are black, white, and an almost fluro orange. I hate using two of those colours! But oh well, I promised. I ordered my Stylecraft yarn from Wool Warehouse which arrived super fast and in perfect condition. The orange is called Jaffa and is much more brighter than what the online picture suggested! The pattern I’m using is corner to corner made into 4 separate squares and then sewn together. To get the random stripe effect I used a random stripe generator website. This site is great for taking the guess work out and getting some great results! Each square is 30×30 squares. This is the perfect size for a throw size blanket.